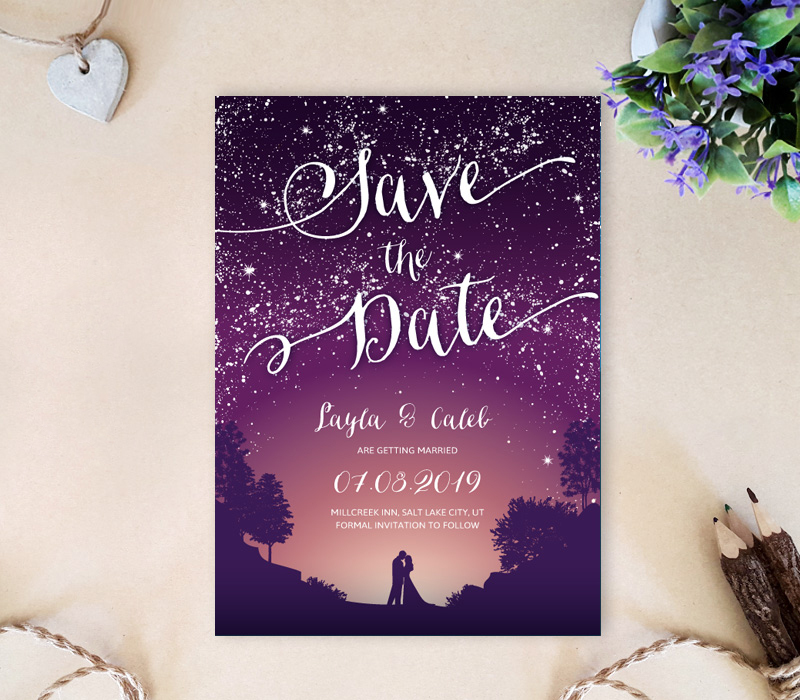 You said yes, now it’s time to tell everyone about your wedding date with our fantastic Starry Night Save The Date Cards! Our cards display a beautiful scene that features a loving couple under a starry night sky. All of the cards are printed on shimmering card stock for a luxe finish.